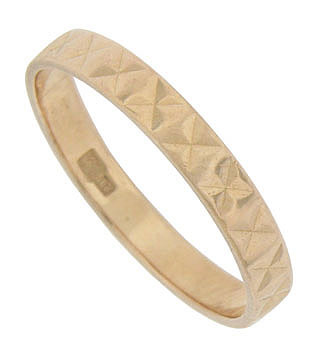 A pattern of jewel cut leaves presses together to form abstract flowers on the surface of this 14K red gold wedding band. 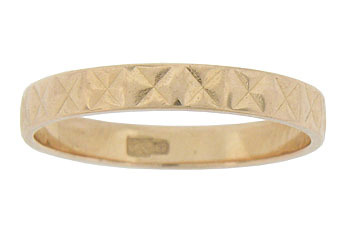 The Edwardian wedding ring measures 2.71 mm in width. Circa: 1915. Size 6 1/2. We cannot re-size.